Home » Cancer » Can Multivitamins Drop Cancer Risk? At least one-third of U.S. adults pop a multivitamin each day. A new health breakthrough studied 15,000 male doctors, and found that long-term multivitamin use has a small but significant role in cancer prevention. Researchers launched the study to see if multivitamins could succeed in protecting men from cancer without any side effects. They found that after over 10 years of treatment, multivitamins led to an eight percent decrease in overall cancer risk. This adds a bit of weight to an aspect of health—the science of vitamins—that has had mixed results all along the way. In the study, half the men took a multivitamin, and the other half, a placebo. 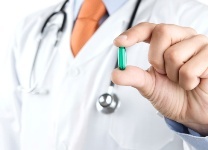 While the traditional role of a multivitamin is to ensure you do not wind up with nutritional deficiencies, there has been much speculation over the years as to whether this one pill could prevent disease. The supplements mimic the nutrients found in fruit and vegetables, but so far observational studies found no conclusive link to cancer prevention. PLUS: A look at multivitamins and one particular cancer. In this one, the key is the decrease of eight percent. This, however, did not apply to prostate cancer—the most deadly tumor to strike men only. Notably, the 15,000 doctors included more than 1,000 who had a family history of cancer. All were about 50 years old at the start of the study. Among all the men, there were 2,669 cases of cancer, including 1,373 cases of prostate cancer, and 210 cases of colorectal cancer. A total of 2,757 (19%) men died during follow-up, including 859 from cancer. While not affecting prostate cancer risk, a multivitamin significantly reduced the risk of total cancer. It is believed to be the first piece of evidence that a regular multivitamin does lend some kind of shield against the most fearsome of all diseases. It also, importantly, shows that multivitamin use is safe over the long term. The researchers conclude that this proves multivitamins have potential use in cancer prevention among middle-aged or older men. Gaziano, JM et al., “Multivitamins in the Prevention of Cancer in Men: The Physicians’ Health Study II Randomized Controlled Trial,” JAMA, October 17, 2012.